Good morning!!! TGIT! Thank God it's THURSDAY! 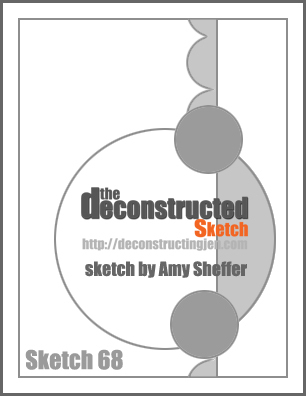 One day away from FRIDAY and Deconstructed Sketch day!! I am very excited to be the designer of this week's sketch! Hope you love it and have time to create with it! 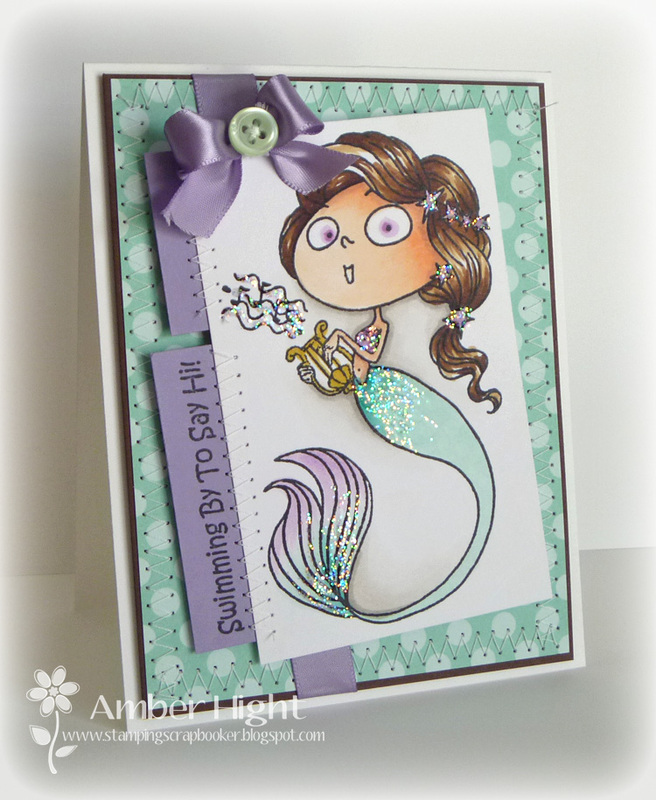 Here's my card using some new Verve!! 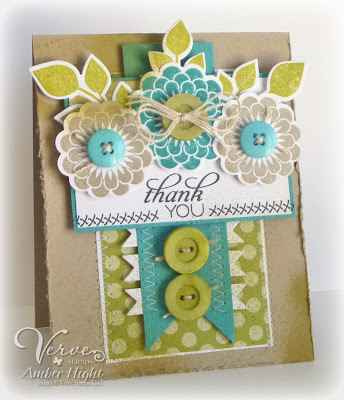 I used a stamp from a new set by Verve, called "Wonderfully Made"! 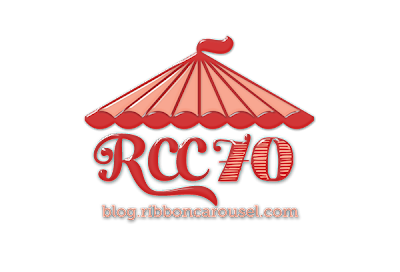 The papers are from October Afternoon, and the ribbon from The Ribbon Carousel! We have a new team member for the next couple weeks, so please give Cresta a big DS welcome!!! She's really amazing, you'll want to visit her blog! Now visit the rest of my team mates to see what gorgeousness they've come up with using this sketch! 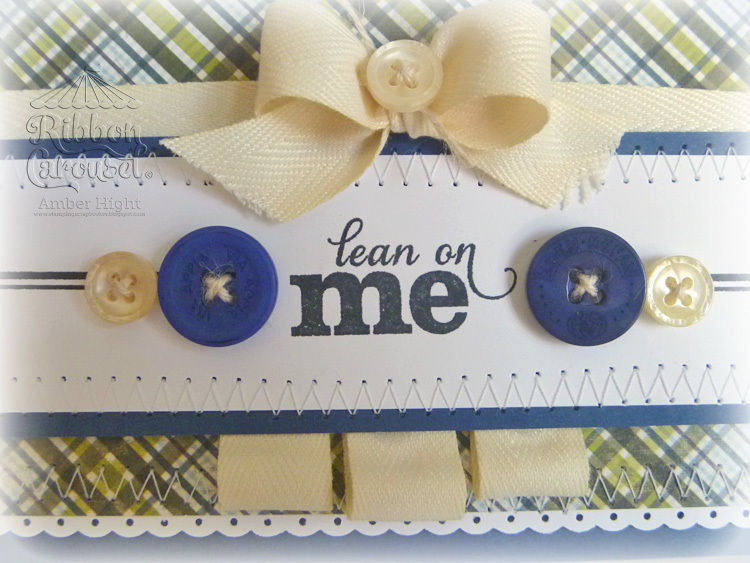 The sentiment is from Lean on Me and the lined border stamp from Borderline from Verve. The ribbon I used is the Ivory Cotton 5/8" Twill and this ribbon is awesome! So buttery soft and easy to tie bows, love this stuff! 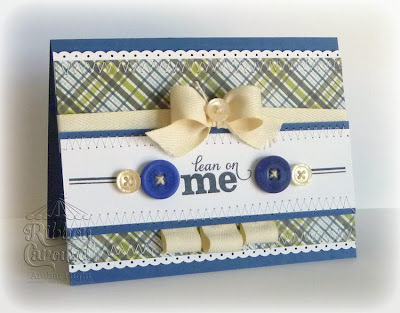 I also used it for the ribbon tabs under the sentiment. 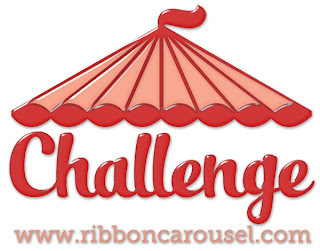 A fun tutorial for The Ribbon Carousel! 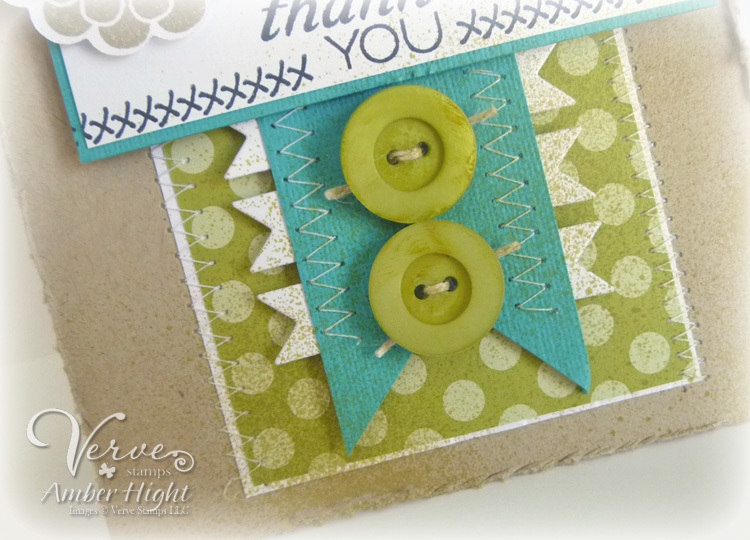 Today, I have another card to share using this month's SFYTT layout! 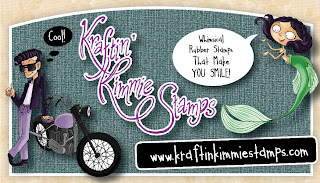 We're being sponsored by Kraftin' Kimmie this month so I was excited to pull out some more of my KKS stamps! As you can see, I really took *a lot* of liberties with the sketch! 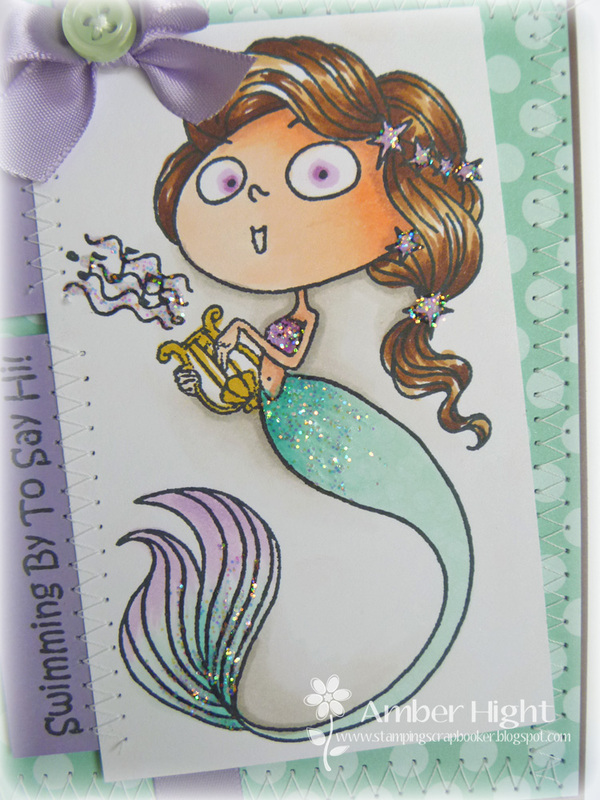 This image was too big to get into a little rectangle and I didn't want to cut any of her out so I had to adjust the sketch to fit her:) This is "Aurora" and I think she's GORGEOUS:) I have all the mermaid stamps and they are so stinkin' fun to color. I even did a little tiny bit of color blending on her fins, and of course I had to sparkle her up! Hope you've had a chance to play with this sketch, you still have lots of time to get yours done! 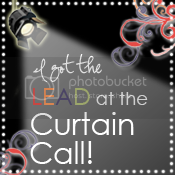 See THIS POST on Jen's blog for details! Well hello there! Every Thursday, if I've done my homework (wink!) 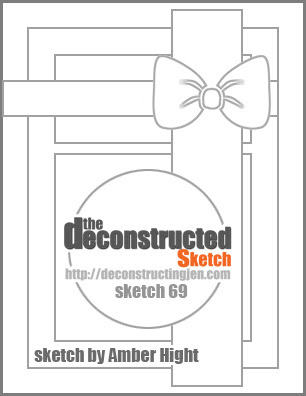 I have a sample using the newest Deconstructed Sketch! This month, Jen has invited the designers to submit a sketch for you to play with and this is Amy's week! She's come up with one AMAZING sketch! Check this out! When I first saw this sketch, I knew exactly what I wanted to do! And it happened! That's the miracle, lol! Here's my sample using some new Verve goodies!! 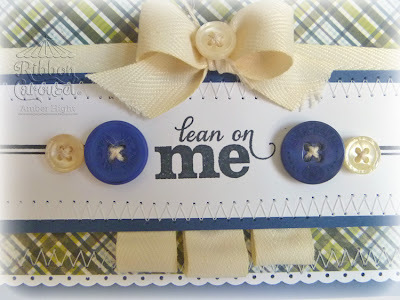 The papers are from MME and PTI and the stamps are from Lean on Me from Verve! I cut out some flowers using the Pointy Flowers dies and then stamped the corresponding stamps from Lean on Me and colored them with Copics. As always, I topped the flowers with buttons, but this time, added some ribbon bows to the flowers instead of twine, see...I can change, lol! Now hop on over to the Deconstructed blog to see the rest of the girls projects! You don't want to miss it! ;) Thanks for stopping by today!! 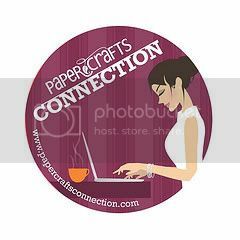 September Diva Inspirations Blog Hop! Hello! If you've never been a part of our monthly inspiration hops, you are missing out! The divas all pull out some of our favorite sets that haven't seen ink in awhile and show them some love! 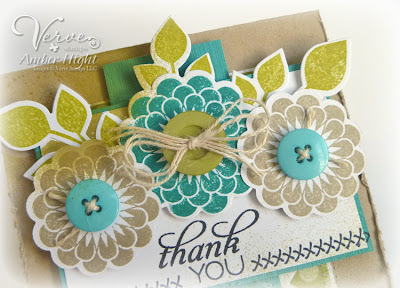 I used the new Scalloped Flowers die to cut the flowers out and then I stamped the flowers from Dream Big in Crumb Cake and Bermuda Bay ink. I cut some leaves out with the new Dreamy Leaves die and then stamped the leaves from Dream Big in Memento Lettuce ink. I added some buttons to the flower centers because a flower just doesn't seem finished until I do, haha! 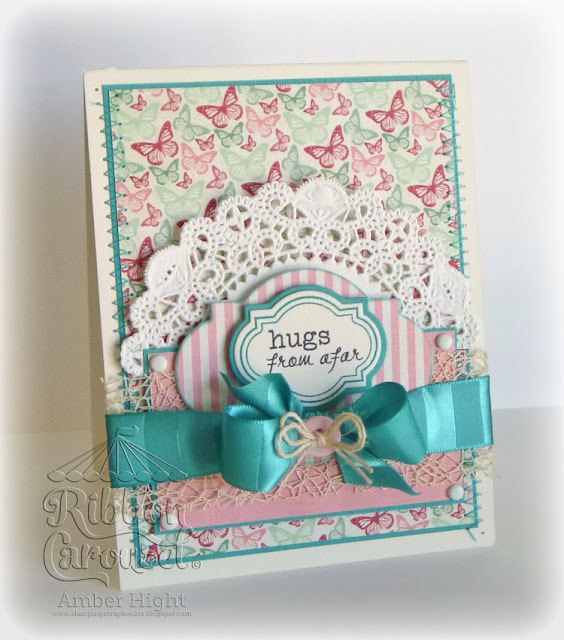 The sentiment is from Dream Big and the faux stitches are from the new set Borderline. I cut a banner out with my Ribbon Banner die and then added the new Pennant Trim die to the sides of the banner. Add a couple more buttons and that's all she wrote! 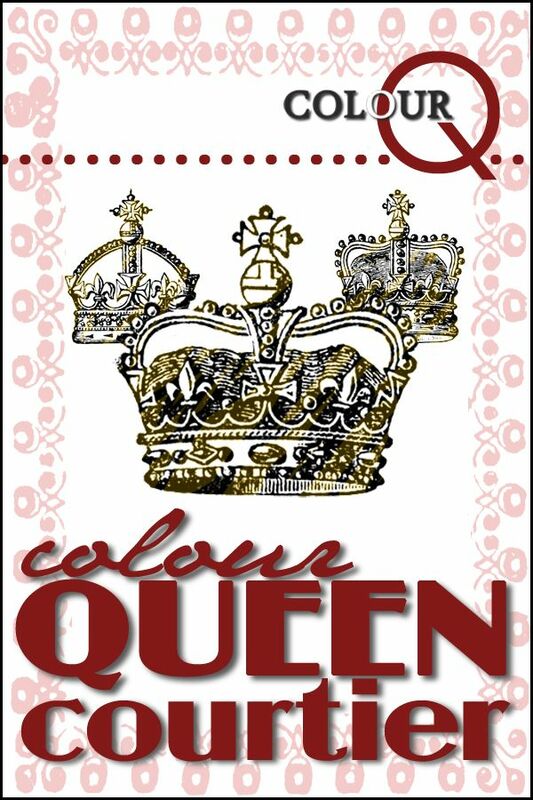 I used last week's Colour Q challenge for the color combo and this week's CPS sketch for the layout! I hope you find some time this week to pull out some of your beloved stamps that haven't see any ink for awhile and breathe new life into them! 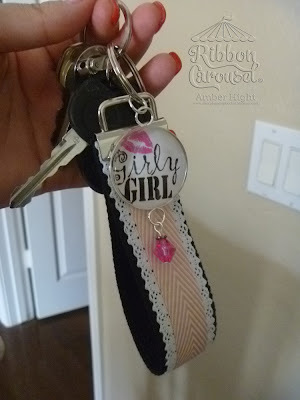 Check out what my Diva sisters were inspired to create! 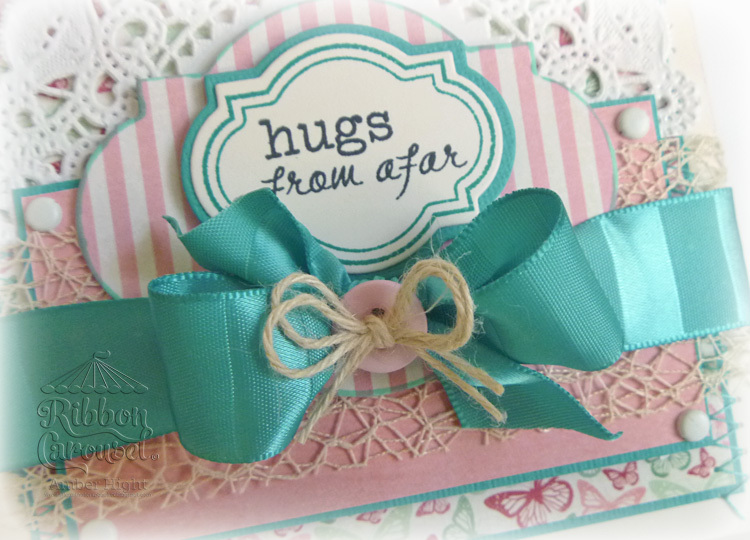 I used the 3/4" Teal Horizontal Stripe Satin ribbon! This is some seriously luscious stuff! You can also see that gorgeous Champagne Net Ribbon under the teal ribbon! 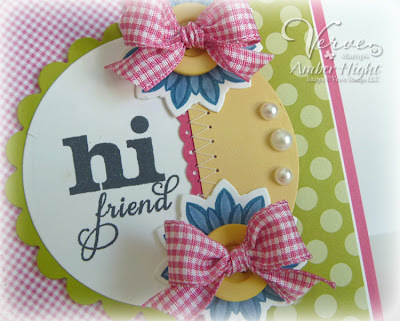 That is some fun ribbon, lots of layering possibilities! I added a button with some jute twine as well, also tied in a bow! I love double bows, heehee! 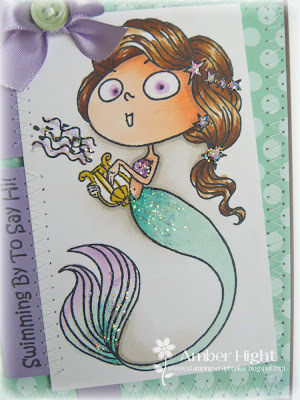 The stamps are new from Verve! 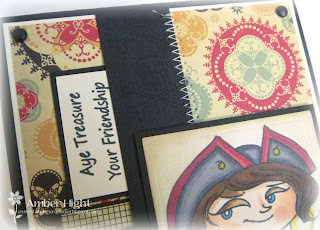 I used the frame stamp and sentiment from Borderline. Well, make sure to head on over to the Ribbon Carousel Blog to see more luscious bows! I can't wait to see what the other girls came up with:) Thanks so much for stopping by today!! September SFYTT Sponsored by Kraftin' Kimmie! Well, a new month brings us a new Sketch for you to try! That's right, and this month we're being sponsored by the fabulous Kraftin' Kimmie!!! Here's our sketch for the whoooooole month! Fabulous isn't it? And perfect for all those gorgeous Kraftin' Kimmie stamps! Here's my card featuring Cutthroat Lizzie!! I used some older MME papers and colored Lizzie with Copics! I inked the image with Wheat ink from Colorbox. 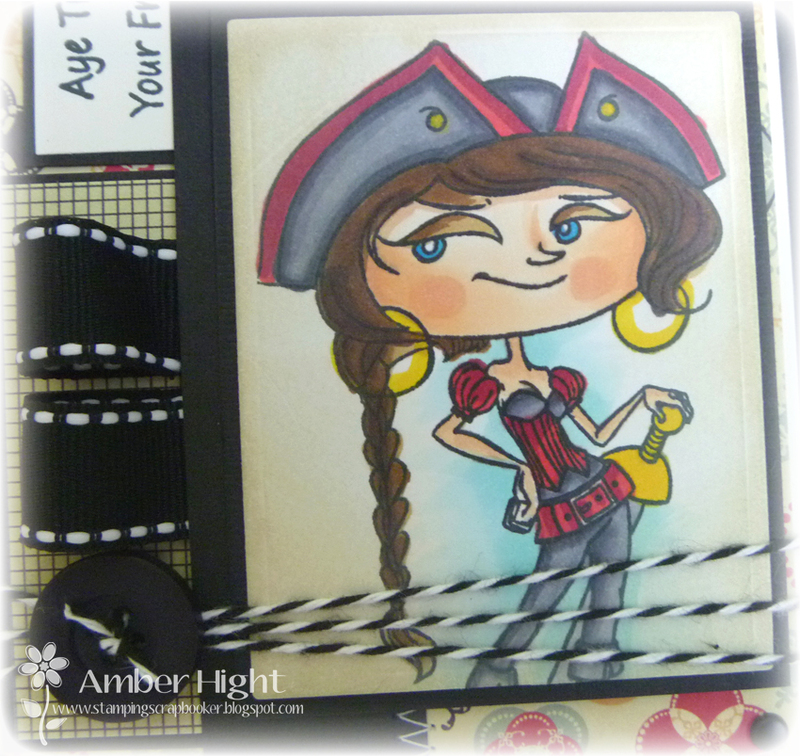 I also add some fun ribbons and a sentiment from Kimmie's Pirate Sentiments! 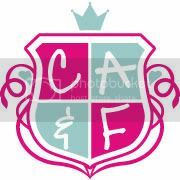 Make sure to check out Jen's Blog for more details and hop on over to all my SFYTT sistah's blogs! Our guest this month is the amazing Leslie Good! Jen Del Muro and September Guest Leslie Good!